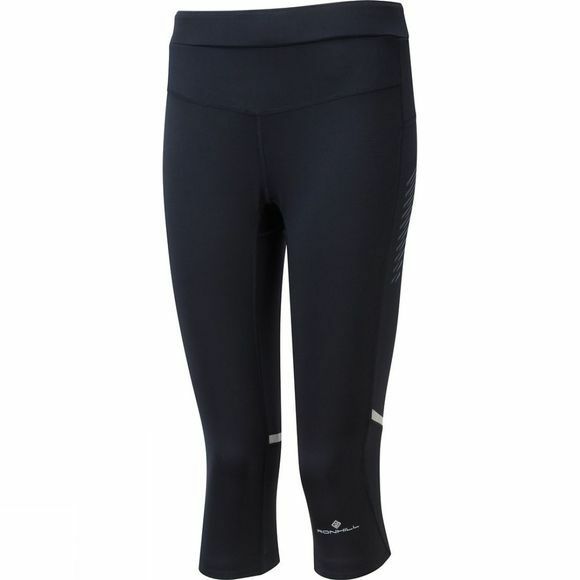 The Women's Stretch Capri is Ronhill's most popular running tight in a Capri length and with a new design update - a staple part of any runner's wardrobe. The Powerlite legwear range has been totally revamped and pleased with the transformation which has updated the line without losing any of the key characteristics that make these products consumer favourites season after season. Ronhill have updated the style lines and added a new bold screen print design which really catches the eye. Notice the new Run Every Day print on the inner waistband which they have started to introduce into some items in the range. 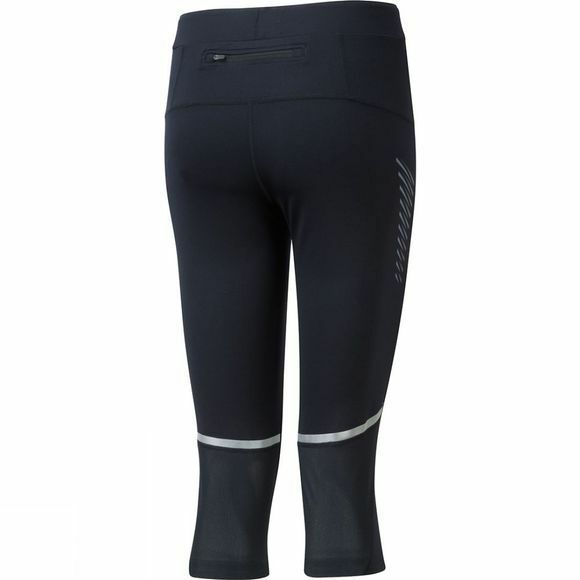 They have kept the favourite flat wide waistband with inner draw cord which gives superb comfort and security, and the traditional elasticated hem and ankle zips with lock down puller and reflectivity.